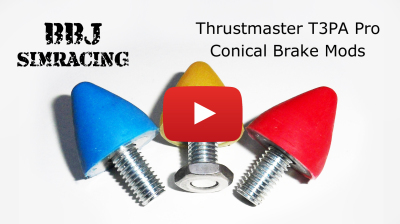 When Thrustmaster released the Conical Brake Mod for the T3PA and T3PA Pro pedals this represented quite a step forward in the performance of potentiometer brake pedals. 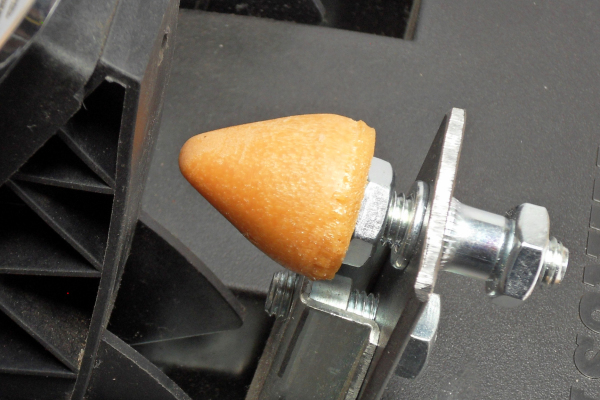 However they didn't develop the idea fully so we have decided to produce a range of Mods that will provide a significant performance improvement over the standard Conical Brake Mod. We have achieved this by increasing the physical size of the mod which allows a much more progressive rate of travel/pressure and by making the mods out of Polyurethane Rubber rather than the natural rubber of the originals. 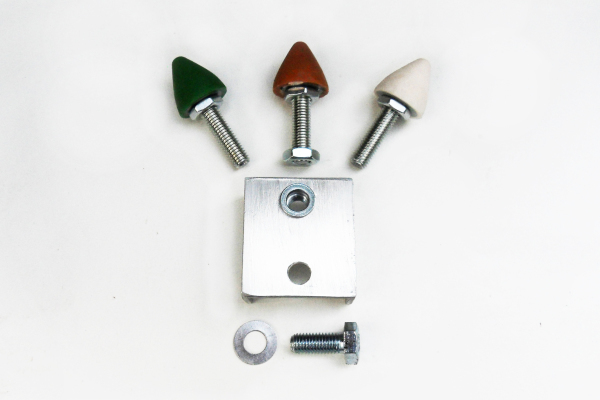 This also increases the progressiveness of the pedal and allows us to produce these mods in a range of hardness (shore rating). For specific detail please see the graph in the video. 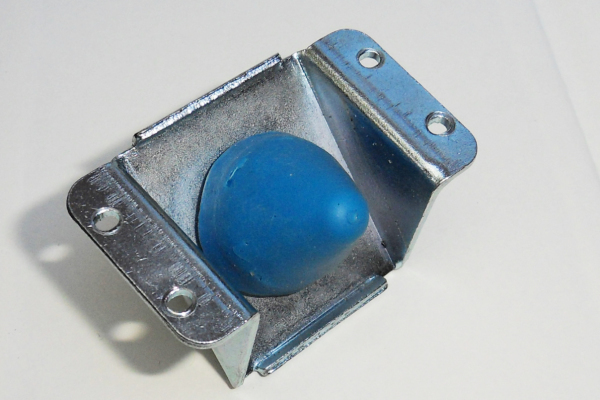 When taking into account the cost of upgrading to Load Cell or Hydraulic Pedals these mods represent excellent value for money and can significantly increase the lifespan of these pedals before you feel the need to upgrade. Similarly if you have already upgraded and have a set of T3PA pro's kicking around the addition of one of these mods is going to make them into a very useful set of backup pedals for minimal cost. For further information please view the Video below. In order to design a range of mods for the Standard T3PA Pedals that gave the same range of options as our mods for the pro pedals and that was possible to fit without the user having to make permanent modifications to their pedals has taken quite a while to get right as the pickup points, throws and pivot points for these pedals are totally different to the pro pedals. If fitted to a standard pedal one of our pro mods will result in a pedal that is exceptionally heavy due to the lack of space to fit a larger size mod and the fact that the standard pedals have less leverage on the mod. 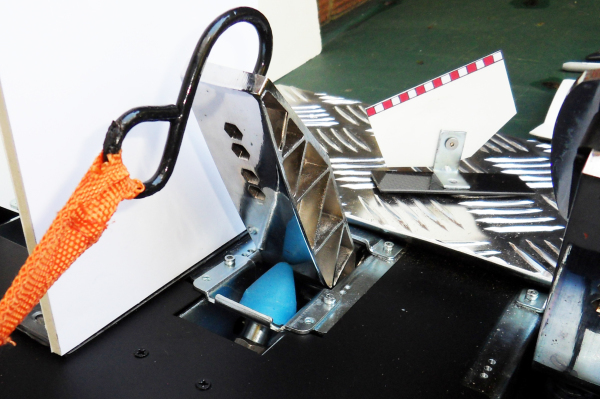 We have designed an additional bracket and a range of mods in softer grades of rubber (50, 40 and 30 shore) that not only give excellent feel to the brake but allow for extra positioning options. This means than console racers using Forza, Assetto Corsa and GTS should have an easier time calibrating their pedals while PC and PCARS 2 racers on the consoles will still be able to use short calibration techniques to acheive that perfect pedal. 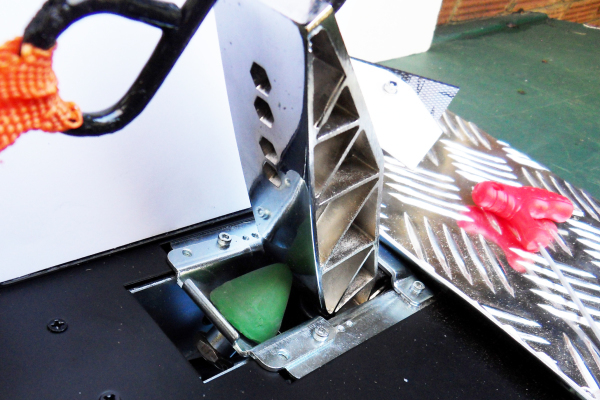 BBJ SimRacing 'Universal' Conical Brake Mod for Thrustmaster Standard T3PA Pedals. When we bought out the set of mods for the standard T3PA Pedals we realised it was a significant investment when compared to the value of the pedals themselves. As we are committed to providing value for money and increasing the usefulness of some of the low end items of sim racing gear we have been working to find a single mod that will work for most racers in the majority of situations. We have developed foam mods to increase the flexibility when compared to our earlier mods and massively increased flexibility when compared to Thrustmaster's standard item. We have also simplified the bracket compared with the bracket on the three mod kit allowing us to reduce the price further still. This mod will provide a large performance increase compared to the standard mod and once fitted will require very little adjustment. When compared to the cost of upgrading or other mods on the market this mod represents excellent value. For further information and for fitting instructions please view the Video below. You will need a 17mm spanner to install this mod. This mod has been tested with all the major current sims on PC and console and once setup for your particular sim should require very little adjustment. BBJ SimRacing Replacement PU Foam brake tuning kit for Logitech G25 & G27 pedals. 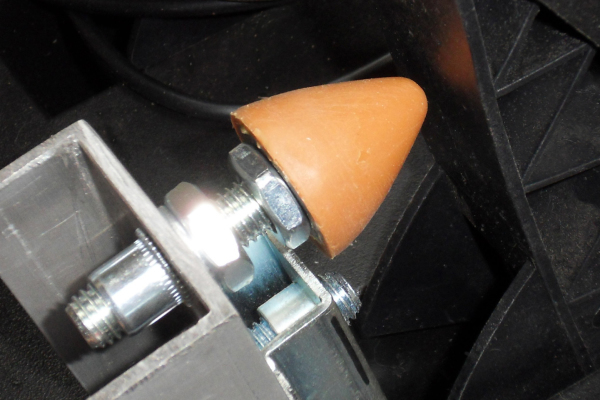 The stock brake on the G25 and G27 pedals is pretty soft and lacks feel and progression. This makes precise braking difficult when compared with more expensive pedals on the market. This set of mods adds feel and progressivity to the brake pedal allowing for more accurate braking. The yellow (soft) and green (med) mods will allow full pedal travel while the orange (hard) mod will limit pedal travel a small amount. 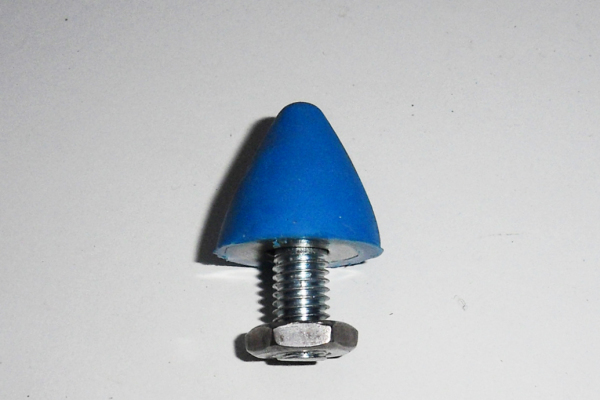 Can be combined with our firm brake tuning spring to provide an even firmer pedal if required. Kit comes supplied with a small bag of grease so is ready to fit when you get it. BBJ SimRacing Replacement PU Foam brake tuning kit for Logitech G29 & G920 pedals. The stock brake on the G29 and G920 is firmer than the previous pedals in this series due to it having a modified spring carrier and being fitted with Logitech's own solid rubber mod. This setup is arguably an improvement on the older G27 pedals but there is a big step in the amount of pressure required as the standard mod is engaged and the pedal runs out of travel soon after. This makes precise braking difficult when compared with more expensive pedals on the market. This set of mods adds feel and progressivity to the brake pedal allowing for more accurate braking. The yellow (soft) and green (med) mods will allow full pedal travel while the orange (hard) mod will limit pedal travel a small amount. 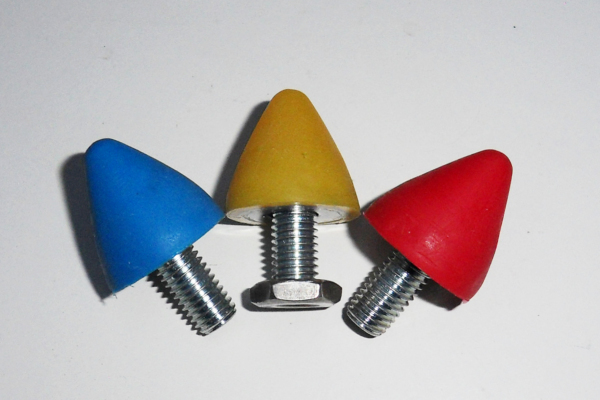 Can be combined with our firm brake tuning spring to provide an even firmer pedal if required.